my pointless: too ugly to be a criminal? Look at the man on the right. What do you notice about him? If you saw him commit a crime, do you think you would be able to identify him in a police line-up? The man's name is David Holyoak of Whitefield, Manchester, England. Recently, he was sentenced to three and a half years in prion for his part in a robbery. 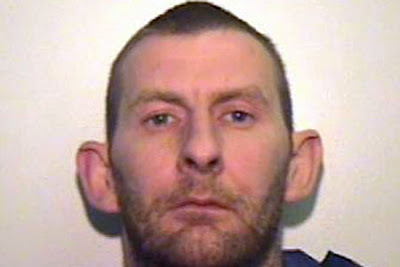 One of the reasons that David, 33, was convicted is because of his distinctive looks. At the hearing, the trial judge told David that he is just "too ugly" for a life of crime. This is because his looks are so memorable and easy to identify. Said one police officer, 'This man only needs to look at himself in the mirror to realise crime is not for him. With his big ears and rotund features he stands out a mile, and the officers have no trouble spotting him. He must be a total liability when he is part of a gang. After his release from prison in 2014, Shrek should consider becoming spy or go into undercover police work.